Play Potato Salad - Cooking with Emma and more New Games Games on Games1.com! Cooking with Emma is healthy, vegan recipes and lots of fun in the kitchen! 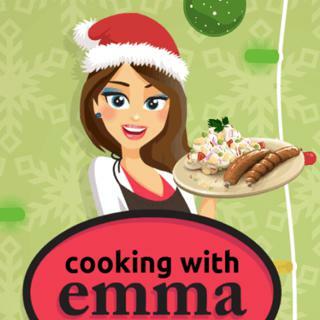 In this new game of the popular series chef Emma is preparing a traditional German Christmas dish with a little vegan twist: potato salad with handmade sausages. Use different cooking utensils, combine ingredients and follow Emma's instructions to create this tasty speciality. Try it at home and impress your friends and family! Bon appetit!